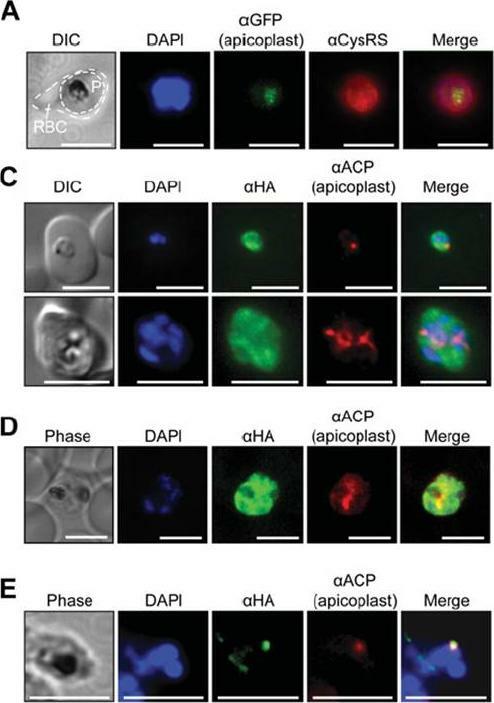 PfRRF1 localizes to the apicoplast.A. 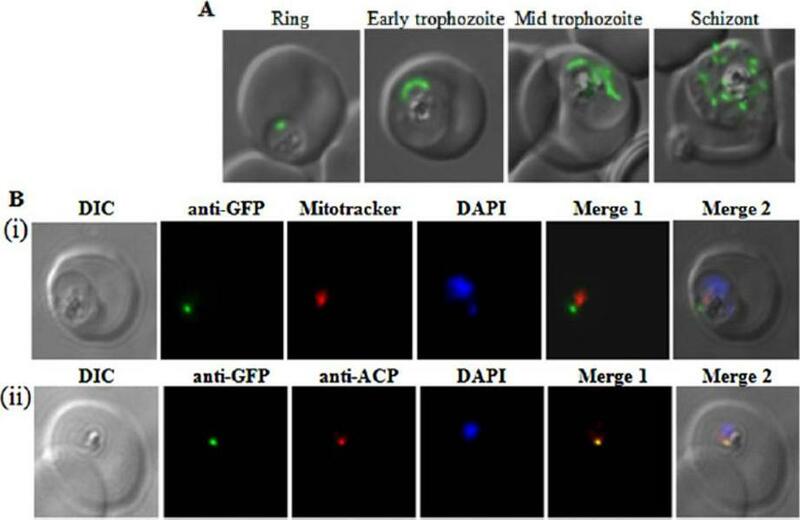 Live cell images of PfRRF1leader–GFPtransfected parasites at different stages of the erythrocytic cycle. Signals indicative of apicoplast morphology are seen in the ring,trophozoite and schizont stages.B. Immunolocalization of PfRRF1. Panel (i) shows a differential interference contrast (DIC) image, nuclear DNA staining with DAPI, PfRRF1leader–GFP fluorescence, MitoTracker signal, and their overlap. Panel (ii) showscolocalization of PfRRF1leader–GFP and the apicoplast marker ACP.Gupta A, Mir SS, Jackson KE, Lim EE, Shah P, Sinha A, Siddiqi MI, Ralph SA, Habib S. Recycling factors for ribosome disassembly in the apicoplast andmitochondrion of Plasmodium falciparum. Mol Microbiol. 2013 88(5):891-905.